Boxing is an individual sport…or is it? Those of us who have laced up the gloves, climbed through the ropes and heard the first bell, know that boxing is an individual sport. Once that bell sounds and the referee shouts ‘box’, no-one can help you in there until the bell sounds again. You are solely in charge of your destiny for those few short (or sometimes very long) minutes. Of course boxers are not alone outside of the ring, they at least have a coach, even as a novice. Lucky boxers may have a strength and conditioning coach, a nutritionist, a performance coach and a sports psychologist – particularly at the elite level. So from the most novice to the elite, boxers are part of a team. The bonds and the trust within that team will effect the development and performance of that boxer in the ring. Nothing new here, you all cry in unison. But I am not talking about the number of people in your team, or the skills that they bring to the table – I’m talking about the role that team spirit plays in boxing. As a former boxer, I was fortunate enough to compete at the highest level and whilst on the Great Britain squad I had support from all the sport science expertise that the English Institute of Sport (EIS) had to offer. It was a highly competitive time, we were jostling for a single spot at the Olympics and so team spirit, particularly within the same weight category, was limited. Here, boxing truly was an individual sport. Despite the incredible technical support, large team of coaches and talented boxing colleagues, I felt truly alone in my quest for the Olympic spot. Only those with unwavering self belief and an unabashed determination to succeed at all costs would make it through. These are the qualities that are required of a champion you might argue – and you are right. But how many more champions could we see if we embrace the power of the team. I did not have such qualities and I know that I did not perform to my full potential. By contrast my performance was inextricably linked to the strength of the team spirit in the group with whom I trained. As a full time boxer with the Royal Navy, our camaraderie was second to none and I drew tremendous strength from those around me and their mutual support. You would expect this, you may say, from a military group. But even here boxers are in competition – the same as the GB team. But in the Navy Boxing Team, the strength of the teamwork was infinitely greater. Everyone went through the same hardship of dieting, anaerobic training and sessions after which you could hardly raise your arms – day in, day out. This group suffering generated a team ethos that improved, not only my performance, but that of every boxer in the team. Look at the Iceland and Wales football teams. Certainly not comprised of the most expensive or talented individual players but they are outperforming teams of individuals that should, on paper, walk all over them. Why is this? I suggest its down to the team spirit, mutual support and resounding belief that they are stronger as a team unit than the sum of its individual players. But back to boxing. How does this Gestalt theory help an amateur boxer? When looking for a boxing club or a coaching team look for one with a strong team dynamic, one which want to work together to better you as a boxer rather than wait for you to prove yourself before they pay you any attention. With a strong team camaraderie, team spirit and mutual support – boxers can draw strength and confidence from those around them. As co-founder of Poseidon Amateur Boxing Club I have drawn from the experiences I have had in competition and alongside my husband and co-founder Stuart, we work as hard developing team ethos as we do coaching boxing techniques and tactics. 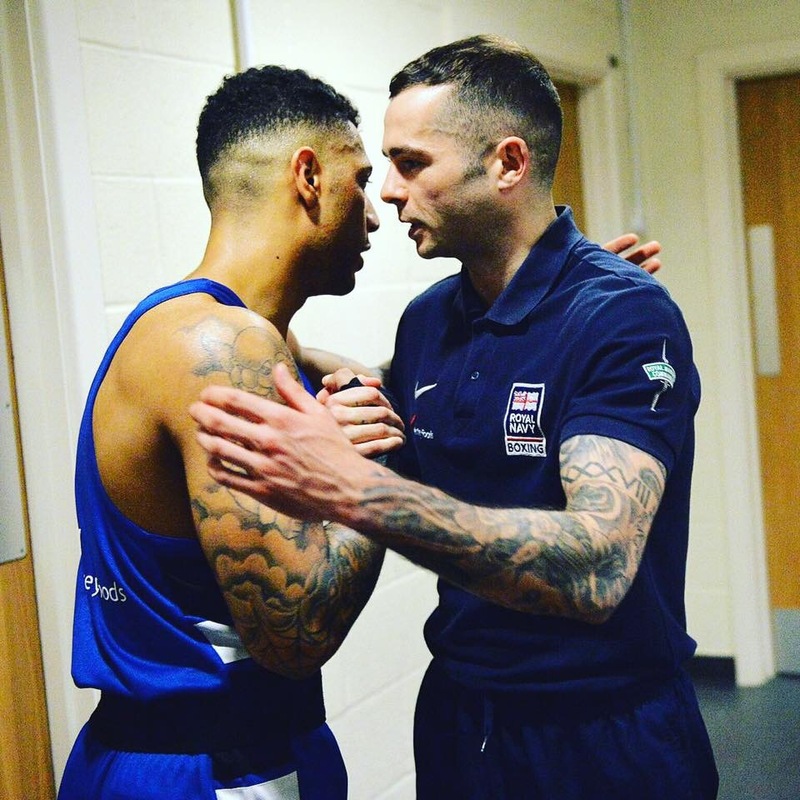 With the help of our performance coach, Dave Bebbington from 2Six Leadership, we are adopting strategies to strengthen our boxer’s resolve, confidence and self belief using the power of the team. Techniques to ensure effective communication of both coaches and parents, teamwork activities and regular social events have undoubtedly contributed to the continued improvement in the performance of our boxers. By concentrating on the team element in your club, not only will it be a nicer place to belong, it will attract more members and you will set the environment for your boxers to maximise their true potential. For more information about our performance coaching, visit www.2sixleadership.com.